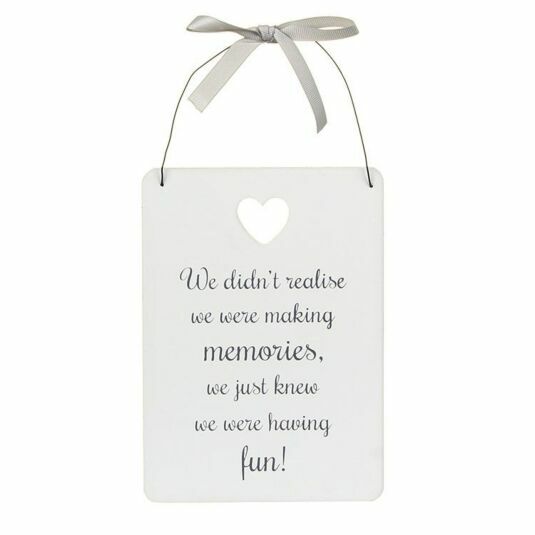 ‘We didn’t realise we were making memories, we just knew we were having fun! 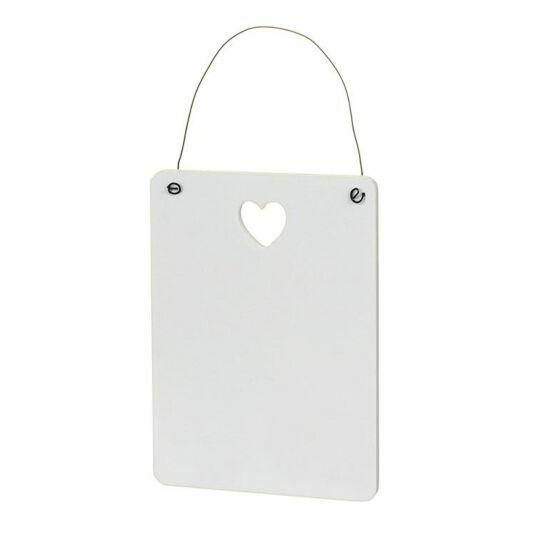 The sign is painted in matte white with a charming little heart shaped cut-out and a heartfelt message in a handwritten font. Complete with a rustic wire for hanging, with a decorative soft teal ribbon tied in a bow, this sign will sit proudly on any wall.